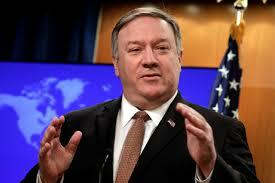 Secretary of State Mike Pompeo issued a scathing rebuke Friday following ICC statements that it would look into possible US war crimes in Afghanistan, and as pressures mount for the court to bring cases against Israel for human rights crimes against Palestinians. "We are determined to protect the American and allied military and civilian personnel from living in fear of unjust prosecution for actions taken to defend our great nation," Pompeo said Friday. Pompeo went to far as to specifically address ICC members and employees: "If you are responsible for the proposed ICC investigation of U.S. personnel in connection with the situation in Afghanistan, you should not assume that you still have or will get a visa or will be permitted to enter the United States," he said.